AccountSight has provided multi-currency feature to facilitate users who travel to different countries for the project work and spend in different currency than their reimbursement currency. Additionally, company billing the client can yet bill in currency other than the expense or reimbursement currency i.e. a UK based consultant working for US company travels to EURO currency country. US Company employing the UK consultant pays him/her in GBP after converting the amount spent from EUROs. The US consulting company however invoices the customer in the USD. Currency conversion between base currency of the company and the expense currency with effective dates. Base currency is setup under the company settings. Currency conversion between base currency of the company and the reimbursement currency with effective dates. Reimbursement currency for any person is setup in the people record. 1. Set up the base currency of the company under Company sub tab in Settings tab. Settings--> Company--> Edit account, confirm the base currency and save it. 2. Add exchange rate currency, exchange rate amount and effective date under Currencies sub tab in Company tab. You can edit the details anytime. You can enter more than one exchange rate for same currency on different effective dates. 3. Set up reimbursement currency to person in People sub tab under Time and Expenses tab. Settings--> Time & Expense--> People--> Click on edit--> Go to Reimbursement Currency and select currency and save it. 4. Create expense sheet with multi currency’s. Calculate reimbursement amount to EUR from base currency USD. Calculate total amount to base currency(USD) from other currency(NZD). Then base currency(USD) amount to reimburment currency(EUR). 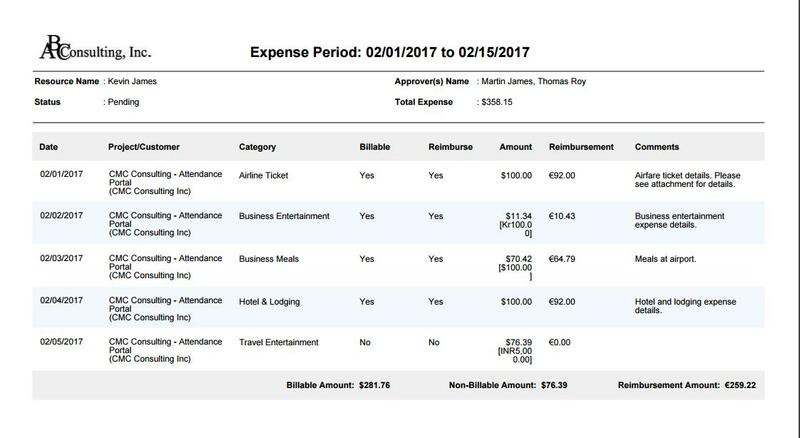 Expense sheet with multiple currency’s. 5. Submit and approve multi-currency expense sheet. Approver details can be seen in the pending tab. 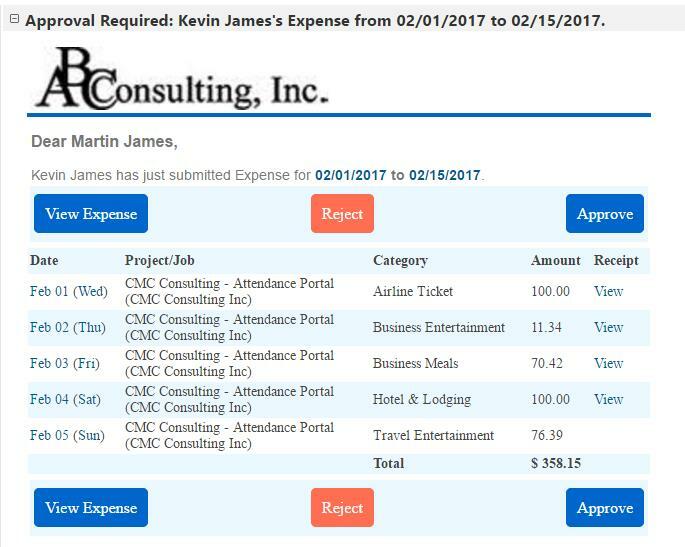 Approvers can review and approve expenses via user interface. PDF copy of the expense shows expense amount as well as the reimbursement amount. FYI - Approver can see expense details in email also and approve directly from the email itself. 6. You can check multi-currency expense details in expense reports. Expense can be in any number of currencies but the total is always in the base currency and reimbursement is in the currency setup at employee (People) record. Invoicing currency is setup at the customer level. More details for invoicing will be captured in the multi-currency invoicing blog soon.